This prescribing guide, organized uniquely by diagnosis, facilitates speedy drug information retrieval for advanced health care providers in all settings involved in the primary care management of newborns through adolescents. Delivered in a concise, easy-to-read format, the guide encompasses pharmacotherapy regimens for more than 450 clinical diagnoses and includes cross-referenced generic and trade names for ease of use. Key clinical information, including lab values to monitor, patient education points, and safety information for parents and caregivers is highlighted throughout. This point-of-care dosing resource helps practitioners to quickly locate appropriate drug treatment choices, generic vs. brand names, dosing information, length of treatment, dose forms (liquid, capsule, scored pill), pregnancy category, pediatric dosing recommendations by age groups, precautions and contraindications, and special patient-specific considerations. 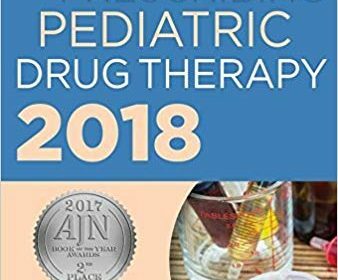 The book also presents important reference information in convenient table format, featuring an appendix of 35 tables for quick access to key drug classifications, FDA pregnancy categories, Schedule of Controlled Substances, Childhood Immunization Schedules, measurement conversions, pediatric dosing by weight, and much more.